B&B Sheet Metal’s Flat & Diamond Flat seam panels are manufactured by turning up the intersecting seams up, folding over, and flattening the joints by soldering. 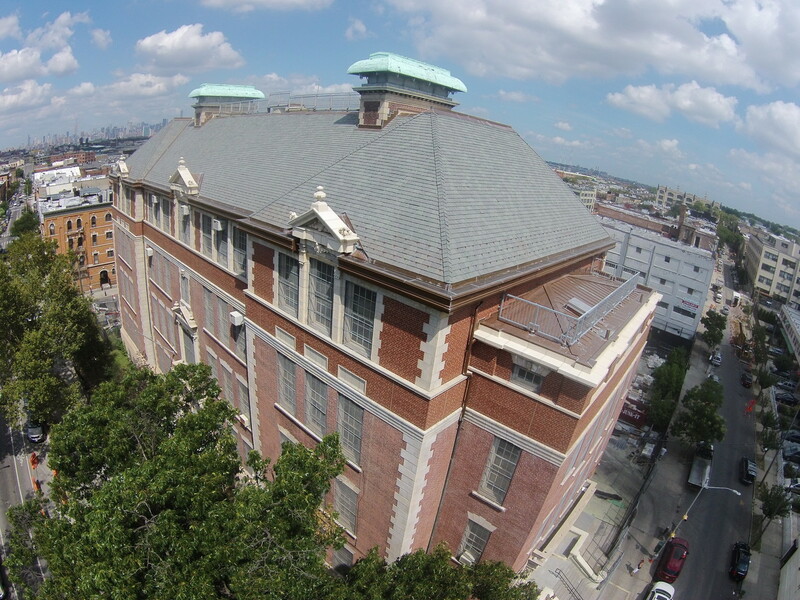 Flat & Diamond Flat seam roofing systems are typically used on roofs that are flat and minimum pitch 3”/12” or less. In constructing these panels, the pans are held in place with cleats installed in each of the longitudinal and transverse seams. The finished pans are interlocked longitudinally and transversely, with staggered transverse seams. The edges of the sheets should be cleaned, wired brushed, fluxed and pretinned to be width of 1-1/2” before folding. After locked seams are engaged they should be malleted or dressed down and thoroughly sweated full with solder. 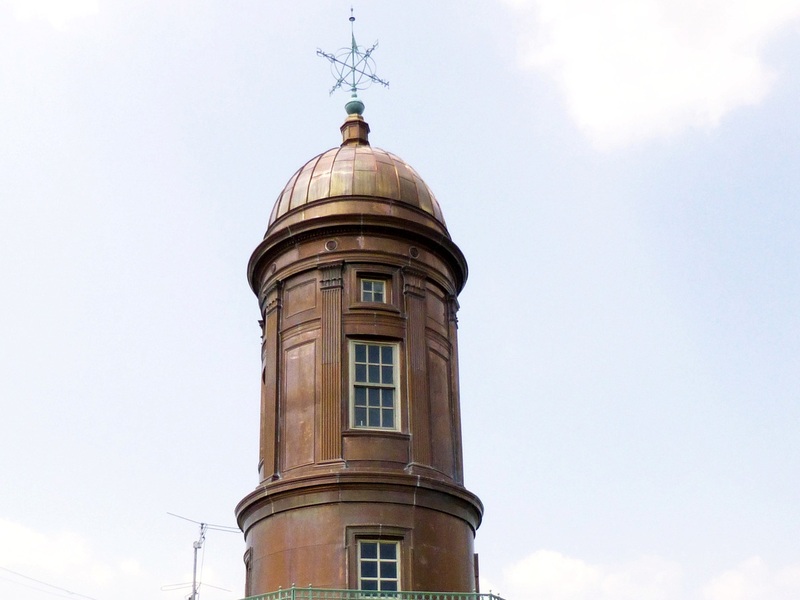 They are also used on curved surfaces such as domes and barrel vaults. 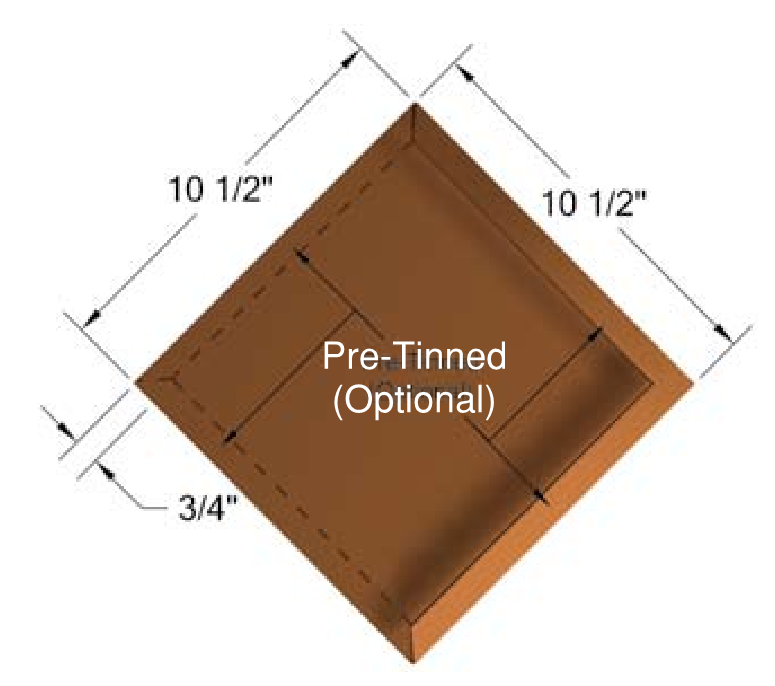 Flat seam roof panel is available 22-½’ x 16-½” with ¾” interlock seams, while Diamond Flat seam roof panel is available 10-½” x 10-½” with ¾” interlock seams. Cleats are installed in each the longitudinal and transverse seams. 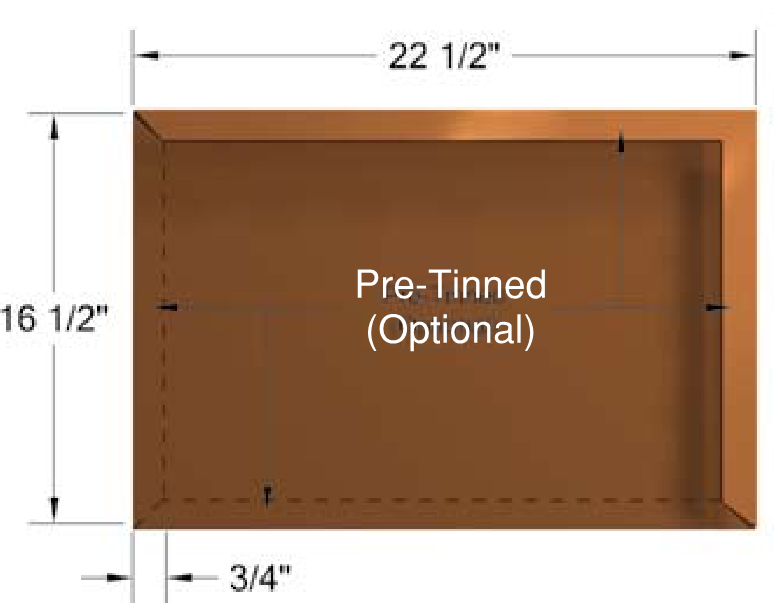 When installing a diamond flat seam roof it is important that the sheathing underneath is continuous and covered with a minimum #30 felt and building paper. This is necessary because the sun heats up the diamond flat seam panels and the building paper holds up the integrity of the felt. Without applying the paper the felt could potentially heat up and stick to the back of the panels. This causes vulnerability to tearing once the panels cool and expand or contract. For use of wall cladding system see details for diamond flat seam wall paneling. The Flat & Diamond Flat seam roof panel system are also available with pretinned option and curving surfaces; contact B&B Sheet Metal for details.